We live in uncertain times. The chaotic and rapidly deteriorating conditions in the Middle East, the underlying threat of nuclear proliferation, and the potential spread of weapons of mass destruction have created foreboding – even apocalyptic – circumstances throughout the world. Add to that a collective consciousness that doesn’t always agree on religion and the nature of existence, and you have the potential for conflict ending in disaster. Author Don Mardak wrote Armageddon and the 4th Timeline to convince mankind that we do have the power to prevent such an outcome. The book is a breathtaking thriller that recently has garnered four book-writing prizes in such prestigious venues as The ForeWord Reviews Book of the Year Awards, the eLit Electronic Book Publishing Awards, and the IBPA Benjamin Franklin Awards. 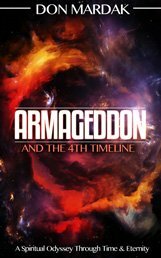 Armageddon and the 4th Timeline is a riveting multi-genre read – a fast-paced mystical fantasy with three thought-provoking themes: the war on terror and the potential of a nuclear holocaust, travel through time to alter future events, and new-age spiritual principles that affect the way mankind coexists. 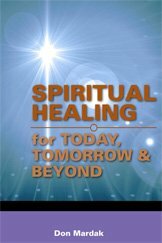 The book is a must read for Truth seekers and those who have been searching for answers to their most basic questions about life and the nature of ultimate reality. 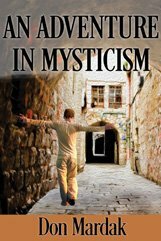 Don Mardak, a successful entrepreneur, is also the author of the novel An Adventure In Mysticism and the nonfiction title Spiritual Healing for Today, Tomorrow & Beyond.